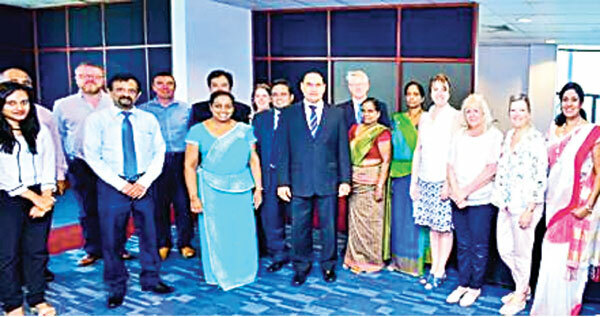 Representatives of Liverpool John Moores University together with SLIIT Business faculty. SLIIT has extended its partnerships with overseas universities to include UK’s Liverpool John Moores University and has launched a three-year business degree course - BBA (Hons) Business Administration - in collaboration with the Liverpool John Moores University, renowned as one of the largest, most dynamic and forward thinking universities in the United Kingdom. The university was originally named “Liverpool Mechanics Institute” and was followed by the Liverpool Institute, School of Art and the Liverpool Nautical College. In 1900 a campus was opened by Irene Mabel Marsh. These institutes combined to lay the foundation for Liverpool John Moores University which has grown and flourished over the years to provide opportunities for all those who aspired to obtain a quality higher education. Today it is a vibrant community of 25,000 students from over 100 countries worldwide with 2500 staff and 250 degree courses. Students aspiring for admission to the SLIIT Business degree course from Liverpool John Moores University are required to have 3 passes at GCE A/L or equivalent qualification. Lateral entry to the third year is available for HND holders for a duration of one year. The degree courses offered by SLIIT are approved by the University Grants Commission under the Universities Act. SLIIT has maintained the highest academic standards over the past decade, enabling students to achieve international level qualifications. To be eligible to be admitted to SLIIT’s degree programmes, students also have to pass an aptitude test conducted by SLIIT. “SLIIT students benefit from a blend of theory and practical knowledge that gives them a competitive edge in today’s world” explained Professor Lalith Gamage, Vice Chancellor and CEO of SLIIT. “SLIIT students can transfer to any of our high ranking partner universities in the United Kingdom, Australia, United States and Canada” he added.